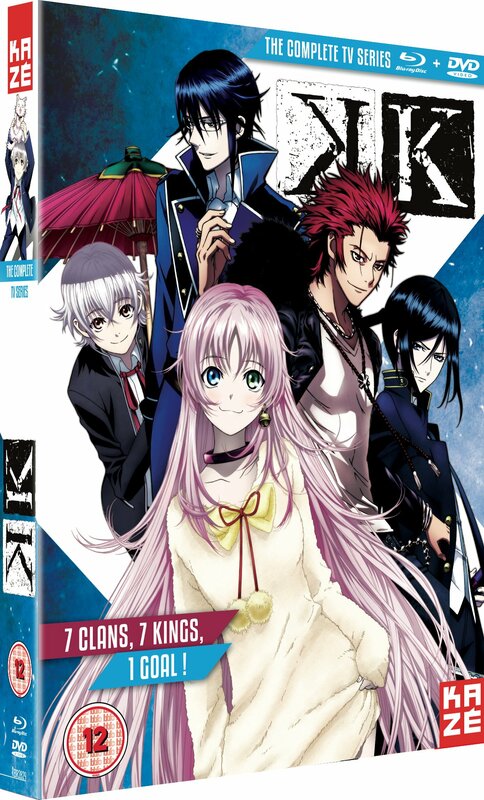 Yashiro Isana is just returning to his island high school, having gone to buy fireworks for the school festival, when a sword-wielding assassin threatens to take his life, claiming that he is responsible for murdering a certain Tatara Totsuka. And then the cute white kitty that’s been following Yashiro around metamorphoses into a naked girl. 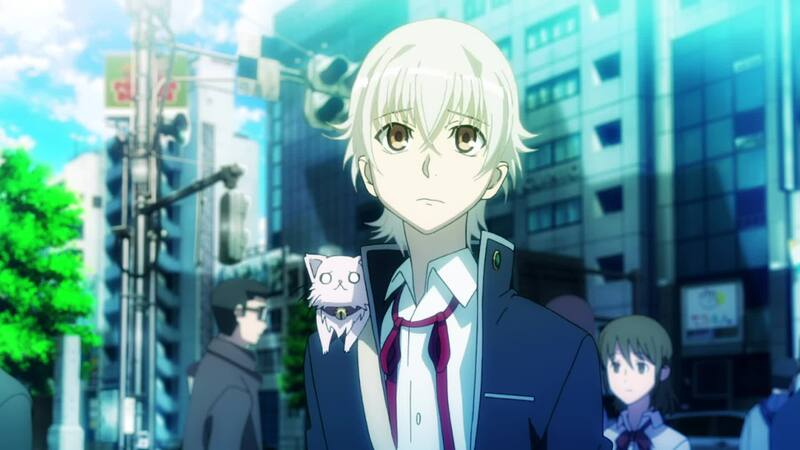 Returning to school with the cat-girl (Neko) and Kuroh (Black Dog) Yatagami the swordsman accompanying him, Yashiro begins to doubt everything he thinks he knows about himself. Could he really be a murderer? Why has he been adopted by shape-shifting Neko? 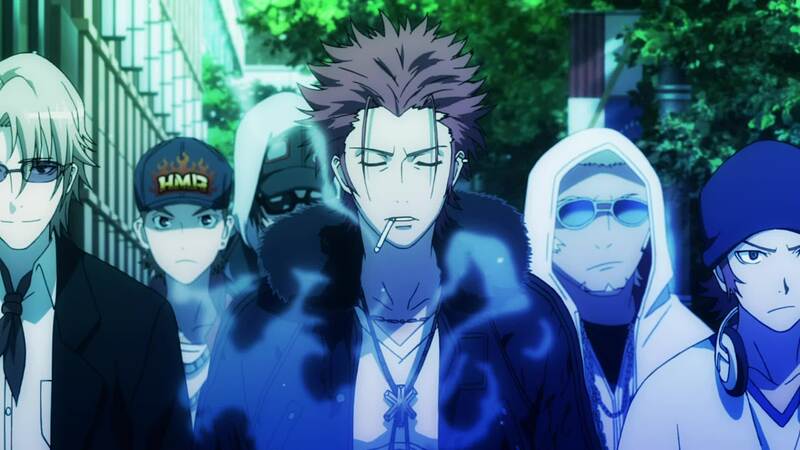 To add to his problems, this alternative Tokyo has become the battleground between two ‘Kings’: red-haired Red King Mikoto Suoh rules HOMRA, an unlikely group of one-time street hoodlums who wield red fire, whereas his rival, strait-laced Blue King Reisi Munakata, is the chief officer of SCEPTER 4, a militaristic Special Task Force Unit, who work alongside the city’s police to protect the citizens. It turns out that Tatara Totsuka, the one Yashiro is supposed to have shot, was a much-loved member of HOMRA – and the other gang members are also out to get the murderer. 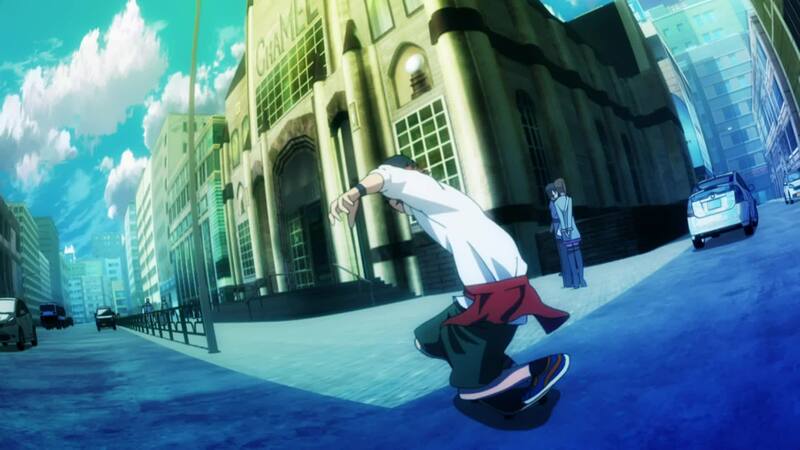 They even possess photographic evidence which directly implicates Yashiro. Yashiro’s life is in danger. But the Kings system also poses a constant threat to the city as each King has a Sword of Damocles that materializes above his head whenever they fight – and the Red King’s Sword is beginning to decay. The last time such a thing happened, it caused a terrible disaster. And then there’s the mysterious airship that hovers above the city; what secrets does it conceal? ‘7 Clans, 7 Kings, 1 Goal’ proclaims the cover blurb – and this both sums up and highlights the main problem with K. K feels like the blueprint for a much more extensive series. When it was released in Japan in 2012, light novels accompanied it, which supplied much of the back story that was not revealed or explored in the anime series. So does that make it an incomplete and unsatisfying watch? Oddly enough, no. If you’re prepared to go with the flow, you’ll experience an intriguing and suspenseful story, told mostly through the increasingly bemused viewpoint of Yashiro. And it looks great. Much love has been lavished upon the look of K with a palette of glowing, translucent colours enhancing every scene. The future cityscape of this alternative Tokyo is strikingly portrayed – especially the climax when snow falls on the high school island. 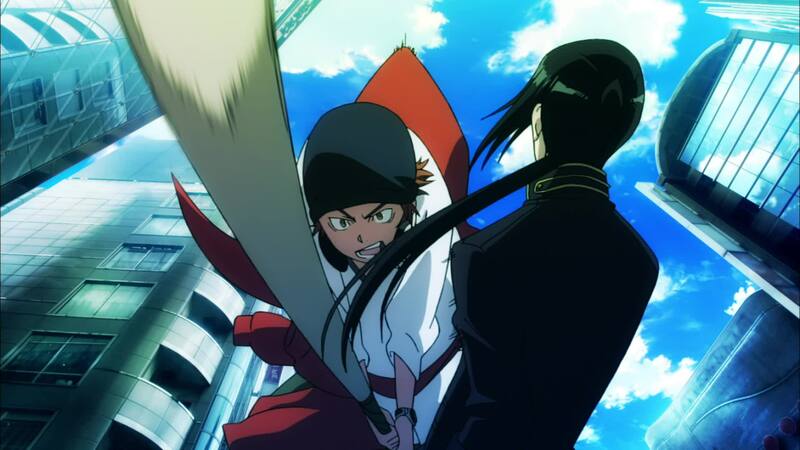 Animation is fluid throughout, with the key fights excitingly choreographed. The character designs for the HOMRA clan members are more than a little reminiscent of those for Durarara! (a significant if subconscious reference, maybe?) Art Director is Masanobu Nomura who was also in charge of the art in all of Mardock Scramble which has a similarly luminous quality to the backgrounds. The only big disappointment is the score; this is a story which deals with big emotions and composer Mikio Endo just doesn’t deliver the goods. His answer to underscoring the action often sounds as if – in an attempt to sound cool and contemporary – he just programmed the drum machine to run one of the many standard pre-sets. It’s frustrating when you think how powerful it could have been in the hands of another anime composer…unless, of course, the director wanted it that way. The powerful Opening Theme is “KINGS” by Angela which is set against a lively animation introducing the main characters and the main Ending Theme is “Tsumetai Heya, Hitori (Alone in a Cold Room)” by Mikako Komatsu which depicts Neko in various poses and is, frankly, fanservice on a plate. Episode 6 has “Circle of Friends” by Yuuki Kaji (who plays Totsuka) and the final episode concludes with “To be with U!” by Angela (again). With thirteen episodes all on one Blu-ray, there aren’t any extras. But with a film sequel due out in Japan soon, there’s more K to look forward to. Cleverly, engagingly told, this series looks good and the underlying story is revealed in an intriguing way. True, thirteen episodes are not enough to delve into the complex backgrounds of the large cast of characters – but the creative team behind it achieve a good balance, hooking the viewer from the get-go and keeping the balance between intrigue and action. It looks great too, with stylish character designs, and a well-imagined alternative Tokyo.